Bright+3 : Why not say “I don’t know”? Why not say “I don’t know”? Faking Cultural Literacy in last Sunday’s New York Times argues that social media (and online, omnipresent, instant information in general) has allowed everyone to have an opinion about everything. It’s worth a read but it misses the point. 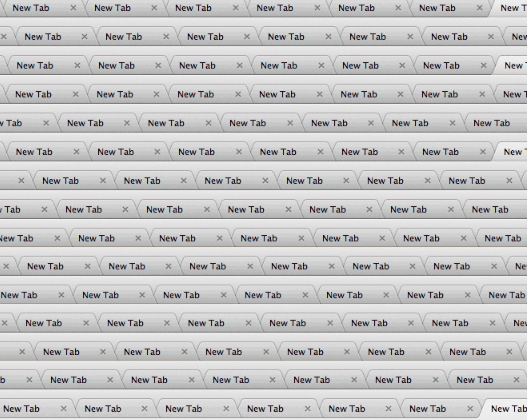 A bunch of open tabs. Illustration by Jennifer Daniel, New York Times. American culture has long frowned on one saying “I don’t know.” To admit ignorance (regardless of source) is to admit weakness. It is to say to your conversation partner that they know more than you do (and must therefore be smarter, better educated, have better parents, read more, have a healthier diet, etc.). Better to say something, anything, and fake it than perhaps question and learn from one another. School in America was easy, assignments sent in by e-mail, classrooms air-conditioned, professors willing to give makeup tests. But she was uncomfortable with what the professors called “participation,” and did not see why it should be part of the final grade; it merely made students talk and talk, class time wasted on obvious words, hollow words, sometimes meaningless words. It had to be that Americans were taught, from elementary school, to always say something in class, no matter what. And so she sat stiff-tongued, surrounded by students who were all folded easily on their seats, all flush with knowledge, not of the subject of the classes, but of how to be in the classes. They never said “I don’t know.” They said, instead, “I’m not sure,” which did not give any information but still suggested the possibility of knowledge. We’re trained early on to have SOMETHING to say. ANYTHING. You don’t look smart (which is 90% of the battle) by quietly thinking things through. Nobody wants to hear of their child waxing philosophic. Leaders don’t hold firm to the gray area. Social media and online information has not launched a wave of shallow knowledge—it’s always been there. Social media makes it more apparent, however. It also makes it easier to find support for our views without engaging in critical thinking or questioning our assumptions. As advocates and social change campaigners we should be constantly aware of our role in finding, analyzing and sharing information. And recognize that most of us have an opinion whether we have knowledge or not. We change policy by, in part, winning arguments but debate means listening and critiquing as much as it does espousing a viewpoint. Engage, question, listen, think and respond. Don’t just make a point—create opportunity for conversation with your audience.